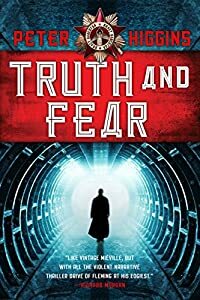 Scifi.com has a new interview with horror author Brian Lumley. Curiously, I picked up Necroscope last weekend and started reading it again. I got into a horror mood after reading Lovecraft last week. I dind’t finish Necroscope the first time I started it, so I guess John would give it a 0-star review. It just SO seemed like the kind of book I would love that I’m trying it again. Kudos to you for giving the book another chance. On the 0-star comment, I know we disagree on what a rating means. I still want to detail what goes into a book review I do but in a nutshell, I am rating the reading experience, not the book. If I don’t finish a book, that’s a bad reading experience. As long as I qualify why I couldn’t finish it, readers of the review can make their own judgment. If a book is good enough to finish, I won’t give it zero stars. If it helps your brain to translate zero stars into N/A, then by all means do so. Let me know how you like Necroscope. It is on my enourmously insane to-read pile.